Squires Plumbing specialise in residential plumbing and with the backing of our administration staff we can guarantee that we are at your door when we say we will be. For gas units our partner company Gasmec Pty Ltd can provide you with a competitive quote. Most cylinders come with a 12 month warranty from the date of installation. If your hot water cylinder is less than 12 months old call the manufacturer to find out who is their service representative in that area to avoid extra cost of calling out a plumber who is not authorised to complete the warranty work for the manufacturer. Leaks in hot water units are generally due to a corroded element seal, a broken limit valve or relief valve or the cylinder has rusted out due to age. If you find your hot water cylinder is leaking you should firstly isolate your hot water cylinder to prevent further damage from the leak. Go to your hot water unit and locate the pipe closest to the bottom of the unit – this will be the cold water inlet pipe, it is where the unit recieves its water and it should have a black knob fitted on the line near the tank. Turn the knob in a clockwise direction until it closes. This will stop any more water from going in to the unit. The leak may continue for a little while but without the water supply coming into the unit the tank should quickly depressurise which will slow the leak considerably. Next, go to your electrical switchboard and locate the hot water circuit switch. The great majority of homes have a separate circuit for the hot water unit and this circuit should be marked as such. Flick the switch marked hot water to the ‘off’ position. Once you have done this you have now isolated both the water and power supply to the unit. If you don’t islolate the power supply and the unit does drain dry the element will remain active and will overheat because there is no longer any water left in the tank for it to heat. Then call Squires Plumbing, your plumber can identify the cause of the leak and repair it or replace your cylinder. Having your cylinder suddenly stop producing hot water can be a great inconvenience, especially during our cold Tassie winters. Before calling Squires Plumbing check that no hot taps have been left running or that the unit has not been drained of hot water from too many people taking hot showers over a short period of time. If this is an ongoing situation you may wish to upgrade your cylinder to a larger capacity. Call Squires Plumbing for a free quote to upgrade your cylinder. If there is no apparent leak from the unit or overuse of hot water then there are a number of possible causes. The element or thermostat may have failed and need replacement. Squires Plumbing have a number of plumbers who hold a restricted electrical licence and can replace these parts and undertake checks to test whether or not power is getting to both the element and thermostat – never try to do this yourself. If everything checks out ok it may mean a problem with the electrical supply from the switchboard itself. If this is the case, a licensed electrician will be required to locate and rectify the problem. The relief valve may have failed and need replacement. Squires Plumbing vehicles stock a number of commonly used relief valves saving you time and money. The cylinder may have rusted out due to age and will require replacement. Squires Plumbing can replace your cylinder urgently if required or provide you with a free quote. A tempering valve is a temperature regulating valve that is fitted to the hot and cold water lines on you hot water service. 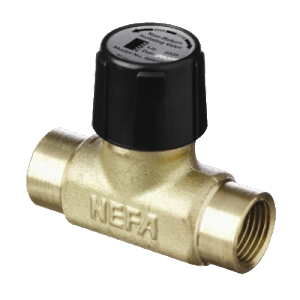 This valve is designed to regulate the temperature coming from your hot water fixtures to a maximum of 50 degrees celsius. Installation of a tempering valve is now mandatory on all new hot water system installations as a Federal requirement and Squires Plumbing is unable to install a hot water system without one being installed. This legislation has been introduced after a number of hot water scalding incidents involving infants and the elderly and is purely a protective meausure designed to reduce extremely painful and sometimes fatal accidents. Faulty valves on your hot water cylinder can cause noise in the pipes known as water hammer. Replacement of these valves, if found to be faulty can eliminate water hammer. Low hot water pressure is generally due to having an older low pressure system. The solution to this issue is to replace the old low pressure system with a new high pressure system. This generally involves re-wiring the system and can be more costly as the services of a licenced electrician are required. Squires plumbing can provide a comprehensive quote including electrical works for installing a new high pressure hot water system. If your hot water cylinder is located inside your home it is important to ensure you have a safe tray installed. The safe tray will catch any minor leaks and drain to and outside area. If you do not have a safe tray and you have damage from a leaking hot water cylinder your insurance company may not honour your claim. Squires Plumbing always suggest a safe tray and we can install one on your existing cylinder if there is not one installed. Sometimes the location of your hot water cylinder is not ideal. Squires Plumbing can provide a comprehensive quote including any required electrical works to relocate your hot water cylinder to a more desirable location. Blocked drains or toilets can occur when materials build up and become caught between the drainpipe and the main pipe to the sewer. The first sign that this is occuring is that water will start to drain more slowly, but eventually materials will build up and prevent water from flowing. Toilets can block regularly due to excessive toilet paper, sanitary items or nappies being flushed down them. Squires Plumbing can apply a number of cost effective solutions to clear your blocked drain or toilet and provide advice on preventing the blockage from re-occuring. For property investors and real estate agents we can provide a report on what has caused the blockage so you can advise your tenant to cease the behavior that caused the blockage. Stormwater drains may become blocked after storms or heavy downpours collecting leaves, dirt and other matter that can build up and block drains. Blocked outside drains can cause flooding and damage to property. Squires Plumbing can clear these blockages utilising a drain rodding machine or in the case or severe blockages a high pressure jetting machine. Another cause of blocked drains can be a damaged or brokent pipe. If a pipe is broken the water cannot flow freely and it may collapse, causing the drain to block. The most common causes of broken pipes are poor installation, age and tree roots. Tree roots cause enormous damage underground and although they can be periodically cleared using the drain rodding machine eventually they will cause the pipe to collapse. The only permanent solution is to remove the trees causing the damage and replace the broken section of pipe. Squires Plumbing can not only clear your blocked drains but also provide a camera inspection to identify the source and location of the damage. We can then recommend the best method of repair for your specific problem and provide a comprehensive quote for the repairs. Local councils now require all plumbing works to be certified as being installed to AS/NZS 3500 (Australian Plumbing Standard) by a licensed Plumber Certifier. However in the past this was not the case and many in many older houses and renovations the plumbing and drainage pipes have been installed by an owner builder resulting in incorrect installations. Pipes can become misaligned or collapse completely if not installed correctly. Choosing the right pipes is an integral part of any plumbing job and so it is vital that have a full understanding of the pipework required to do the job. Incorrect pipe installation with inadequate falls could contribute to the build-up of particles and debris and could eventually result in blocked drains. It is vital that pipes are installed correctly to ensure adequate water flows. If you have ongoing drainage problems or need to repair or lay drains call a Squires Plumbing to ensure the job is done properly and save you money in the long run. We can provide you with a free comprehensive quote to complete your works. Commercial strength drain cleaner – to clearing your blockage may only require a the correct use of a drain cleaner. Our plumbers vehicles are always stocked with a commercial grade drain cleaner and our plumbers are able to use it correctly and safely to clear your blockage. Commercial plunging – when a domestic plunger won’t clear the blockage our plumbers may be able to clear it using their commercial grade plungers and techniques. Drain rodding machine – to clear stormwater and sewer pipes the drain machine can extend up to 24 metres, for longer drains the high pressure jet machine will be required. High Pressure Jetting machine – for sever blockages or very long pipework the high pressure jetter is most often used at commercial sites. Being a large unit two tradesmen are required to correctly operate the machine. Drain Camera – used to locate breaks in pipe this invaluable diagnostic tool can make a video of your entire drain pipe. A copy of the video can be provided to you either on disk or electronically. Drain replacement – on locating a break or damaged area in the pipe our plumbers can excavate and replace the section of pipework. Drain relining – for difficult to access pipes drain re-lining may be a more cost effective solution to repairing a section of damaged or broken pipework. Tas Water deliver water comes to your home from large pipes running under the road or footpath. A smaller pipe will feed from it and run to the main shut off valve. Alongside the valve Tas Water will have installed a water meter so they can charge you for usage. In houses they are located near the front of your property. In some houses it is located inside the front fence near the boundary. For those of you with larger properties, it might be outside the front fence. In units/apartments, there should be an isolation valve that controls your water. It’s usually under the laundry sink but also try under the kitchen sink. Look for a tap that appears to be doing nothing. Write its location and tape it to inside the pantry door. Your pipes can fail due to age, misuse or damage and can cause devastating damage to your home. Pipework can be put under great pressure through the system and any fault in the piping will be exposed over time and broken down. It is important to act quickly to minimise damage and TURN OFF THE WATER AT THE MAINS (instructions above) and call Squires Plumbing’s 24 hour emergency service. Our plumbers are experts in locating and repairing leaks and will provide you with a comprehensive report on the causes of the leak for insurance claims. If the leak or burst pipe is outside your property boundary call Tas Water on 136 992. A leaking toilet can create unnecessary mess and smells and a constantly running cistern is not only irritating but will waste a lot of water. Squires Plumbing can quickly identify and repair the problem leaving your toilet fresh and functioning correctly. Our vehicles are well stocked with replacement parts and rubbers for your toilet and cistern saving you time and money. We can also recommend and install replacement cisterns, bowls or entire suites that suit your existing pipework, avoiding the unnecessary cost if your toilet or cistern is beyond repair or you would like to upgrade to a more water efficient option. Leaking roofs, guttering and downpipes can cause a lot of damage to both the interior and exterior of your property if left unattended. Roof leaks can occur due to damage to the roof material, flashings around penetrations,excessive debris on the roof or in guttering or downpipes being damaged or blocked. Although we cannot repair the leak when it is raining it is important to call Squires Plumbing when the leak is first noticed so we can identify the source of the leak and return when it is dry to repair it. Squires Plumbing also offer gutter cleaning services and can install gutter guard to your property to prevent gutters becoming clogged with debris in the future. Should you require replacement of roofs, gutters or downpipes Squires Plumbing can provide you with a fixed price quote to complete the job. Call now for a free quote to install gutter guard or replace your roof. A tap can start dripping, for no apparent reason. Once it starts, no matter how much harder you turn it off, eventually the drip won’t stop. Leaking showers cause damp and mildew and can be a serious health hazard and cause long term damage to your home. Usually, the cause is a worn out washer. A worn washer means water leaks out of the tap and can also leak from a shower head. There are many types of taps and many kinds of washers. Reparing one yourself can waste so much time, just with trips to the hardware store exchanging incorrect washers, until you finally get the right ones that fit. Squires Plumbing stock their vehicles with a wide variety of common washer types and will fully overhaul your taps including reseating and o-ring replacement. We also fully clean all tap spindles so all your old taps come out fully greased and easy to turn on and off.